The Ford President’s Award is given to dealers that show the highest level of customer service, satisfaction, and overall experience. As well the President’s Award is only given to 340 dealers across the nation from some 5,000+ Ford dealers. In order to achieve the President’s Award, Dealers must exceed customer expectations every day in every department. The pursuit of excellence requires passion, tenacity, and hard work. This prestigious award salutes those top-performing Ford Dealerships that embrace these philosophies, achieving among the highest levels of customer satisfaction – in both sales and service – in automotive retailing. Ford Motor Company rewards the very best of the best from the President’s Award, Ford One Hundred Club, Lincoln Leaders, CPO Sales Leadership, FCSD Premier Club, Triple Crown and Ford Credit’s Partners in Quality Award programs. Sales and Service performance plays a part of the overall scoring process, but it is the Voice of the Customer that ultimately decides as the votes are surveyed and tallied. Vance Country Ford is grateful for its customers and employees for their continued support in this honor from Ford Motor Company. 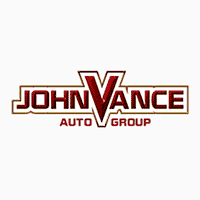 Vance Country Ford has a track record of excellent customer service. They have been top ranked in Customer Service in the state of Oklahoma for the last 33 years. Vance Country Ford has been a family owned and operated Ford dealership since 1984 and is one of the longest lasting Ford stores in the Oklahoma City Metro area. Vance Country Ford has been a long-time corporate sponsor of the Lazy E Arena. We are also are very involved with Peppers Ranch here in Guthrie, OK. Peppers Ranch is an organization that is involved in helping create an environment for abused and neglected children who by no fault of their own have been victimized by the very people who were supposed to love and protect them. Peppers Ranch provides the necessary tools and resources so that foster families can continue our commitment to the care of these children. See more details here at http://www.peppersranch.com.